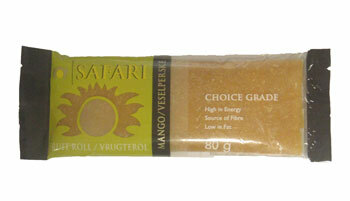 Made from sun ripened dried mango, which are high in dietary fibre and is fat and cholesterol free. A tasty and healthy snack that is quick and easy when on the go. Minced Dried Fruit (72%) (Pears & Peaches in variable proportions, Mango (9%)), Sugar, Preservatives (Sodium Metabisulphate and E220), Flavouring.